Maria Weston wants to be friends. But Maria Weston's dead. Isn't she? 1989. When Louise first notices the new girl who has mysteriously transferred late into their senior year, Maria seems to be everything Louise's other friends aren't. Authentic. Funny. Brash. Within just a few days, Maria and Louise are on their way to becoming fast friends. Louise has always known that if the truth ever came out, she could stand to lose everything. Her job. Her son. Her freedom. Maria's sudden reappearance threatens it all, and forces Louise to reconnect with everyone with whom she'd severed ties in order to escape the past. But as she tries to piece together exactly what happened that night, Louise discovers there's more to the story than she ever knew. To keep her secret, Louise must first uncover the whole truth, before what's known to Maria-or whoever is pretending to be her-is known to all. 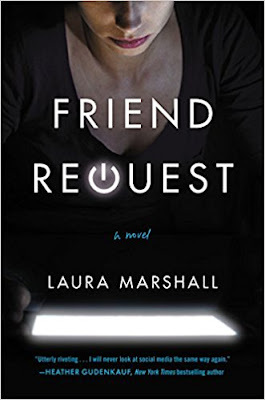 With her mesmerizing debut, Laura Marshall offers a timely and essential story of how who we were shapes who we become, the hidden cost of our increasingly connected world, and the dangerous shape that revenge can take in our modern era. 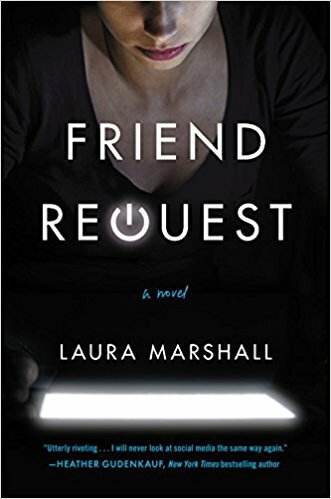 Laura Marshall was shortlisted for several international awards for an as-yet-unpublished work for her debut novel FRIEND REQUEST. She lives in Kent, England. You can find out more about Laura on her website, and connect with her on Facebook and Twitter. Doesn't it sound intense?! I am sure this one will have people creeping out thinking about it, lol!